As the new year dawns and 12 months of challenge and opportunity lie ahead, many retailers may be looking to strengthen their business by either joining a fascia or symbol group for the first time, or by switching to a group that better suits their needs. SLR offers a guide to some of the best options out there. The retail business is tough and it’s only getting tougher. Perennially rising costs and increasingly stiff competition mean that local retailers need every tool they can find in their armoury when it comes to running a successful, profitable business. With the new year now upon us and, hopefully, a fresh burst of enthusiasm, many local retailers may be looking to strengthen their business by either joining a fascia or symbol group for the first time, or by switching to a group that better suits their needs. Without the backing of a major group it’s becoming harder and harder for many retailers to maintain a competitive offering. The lure of becoming part of something bigger is an enticing one and is one of the few decisions that an unaffiliated retailer can make that is all but certain to improve the business. Access to much greater buying power and all the benefits that come with being part of a larger organisation can be the difference between profit and loss in today’s ultra-competitive market. Joining a symbol group or fascia doesn’t mean that retailers need to lose their independence – quite the opposite. While the different groups all have different criteria that members must meet in terms of buying commitments and compliance, the one thing they all share is commitment to allowing local retailers to retain their independent status, something that’s non-negotiable for most. But joining a group offers all the benefits of being part of a nationwide collective of like-minded retailers with access to big buying power and the many invaluable support mechanisms that membership of a symbol group brings. The attractiveness of that offer can be assessed by simply looking at the sheer number of stores that now belong to one symbol group or another. In 2002 around 22% of stores were members; that number is fast approaching the 50% mark today. One other point worth noting is that very, very few retailers decide to return to being unaffiliated after joining a group. They may subsequently switch symbols, but they don’t tend to go back to being unaffiliated once they’ve had a taste of what’s on offer as part of a bigger group. So whether you are considering joining one of these groups for the first time, or are considering moving from one to another, this guide will provide you with the key data you need to make a fully informed decision as to which fascia is right for you. The great news is that the range of choices available has never been greater. Each partner has its own particular strengths, but they all offer buying power, a household name above the door and a comprehensive support network covering everything a retailer needs to remain competitive in today’s retail environment. Choosing a symbol group can seem an intimidating task. It is a big commitment, especially if you are already tied into a contract or faced with joining fees – whether this is in the form of an admin charge, buying shares or paying for signage or delivery. But there is no doubt it can pay huge dividends. How to decide which symbol group is right for you will ultimately depend on your shoppers and what they want you to offer them. It might come down to the kind of store standards you are prepared to meet and your ways of working. If, for example, you are simply looking for a way of running promotions effectively then you might want to consider joining a cash & carry-based symbol group where you would normally go into depot and pick up the goods yourself. The pros for retailers considering joining or switching symbol groups are numerous, not least because of the support a fascia can offer a retailer in every aspect of running their convenience store, from exclusive discounts and buying power to staff training, running a social media page and availability of new technologies. Being part of a symbol group gives you the backing and the knowledge, from promotions to posters and displays, along with the merchandising system and product knowledge to help make your business a success. Groups will send several reps and provide supplier contacts. They can offer an in-depth analysis of what you should stock, where you should stock it and how much you should be making. The support and advice that is given regarding store development should soothe shop owners who are nervous of change, and groups may introduce their own recommended shopfitter to give you help with project planning and store layout. Many also have their own consultants who can do detailed reports on potential or increased turnover. These can be simple or very detailed, taking into account the demographic area around the shop and local competition. Sometimes there will be a fee, but it may be worth the cost as often it gives additional industry-specific information that will support any application. This information, when backed by the weight of a symbol brand, can add an influential supporting voice to any finance application. Retailers should ask themselves whether remaining unaffiliated is detrimental to their potential as a business. Whatever level you decide to go in at, it is best to do your research before determining which symbol group is right for you. With a 40 year track record partnering some of the finest award-winning stores in Scotland, Nisa is your perfect partner for growth in an increasingly competitive and consolidated marketplace. We have worked tirelessly for more than 40 years to ensure we provide all the tools needed to compete against the ever-increasing competition in the convenience retail sector. Importantly, we don’t have any company owned stores, so don’t compete with our retail partners and don’t have restrictive loyalty levels that impact on margin and the ability to trade independently. In May 2018 the Co-op completed its acquisition of Nisa Retail Limited. The wholesale operation will provide an environment in which independent retailers can flourish. It brings enhanced buying capability, allowing Nisa Partners to trade their businesses in the way they choose, backed by competitive prices and promotions with access to a deeper range. 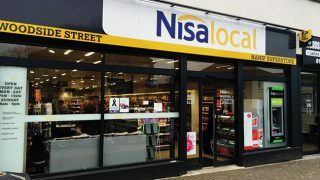 Independent retailers have the option to operate under a choice of symbol fascias; Nisa Local, Nisa Extra and dual branded whereby a partner can maintain their local identity whilst also benefiting from the strength of the Nisa brand. Alternatively, retailers can opt to trade under their own independent fascia. Nisa offers flexibility to retailers with their Store of the Future Evolution format which is a move towards a more modular development format, accommodating the individual demographic and shopping missions of every store, Nisa Abbey View in Dunfermline being one of the recent such developments. 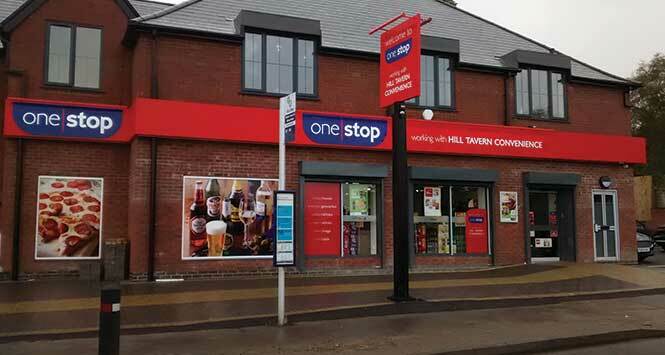 Latest figures show that Nisa partners who have converted their stores to the latest Evolution format over the past 12 months are enjoying sales increases averaging almost 12 per cent. A complete retail support package is offered, which comprises a strong retail focussed team, an enhanced category management system, a staff training facility and a comprehensive marketing package incorporating bespoke leaflets, personalised Nisa FM radio, point of sale material and national advertising. Excellent social media support is also provided with partners receiving assistance in running their own sites. And the corporate Nisa Retail Twitter account celebrates partner successes as well as offering industry news, trading advice and Nisa business updates. Nisa’s flexible model provides its retailers with an unbeatable breadth of range comprising over 13,000 SKUs. This is supported by Nisa’s award-winning own label range, Heritage which provides retailers with some 800 great quality products at affordable prices and includes numerous award-winning lines such as the Heritage wine range launched in 2017. Nisa retailers now also have access to a wide selection of Co-op’s high quality own brand products across all categories. This is all delivered by Nisa’s industry leading supply chain which retailers can trust with an impressive 99.9% of deliveries made on the day and 95% successfully made on time. Nisa understands its retailers and their marketplace, enabling them to modify their offer to match the ‘local’ demographic and to create bespoke planograms and layouts within their individual sites. Through Nisa membership retailers can take advantage of the Retail Academy which provides a complete training solution to develop staff and help provide the best possible customer service. Retailers are offered a full support structure comprising of a strong field team covering Retail Development Managers and Regional Retail Managers, in addition to Fresh Food Development Managers and Store Development Managers who help further develop stores. And Nisa knows community involvement is key, and as such its retailers can support local good causes through Nisa’s Making a Difference Locally (MADL) charity, which has donated more than £7.8m to UK communities since its launch 10 years ago. Retailers can join the Nisa group through the partner website and can rely on superb support from the skilled in-house staff involved in the joining process. Complete the form on www.join-nisa.co.uk/contact-us or contact our development team on 0800 542 7490. With everyday low pricing, monthly consumer promotions to rival the multiples, an award-winning own-label range of over 400 SKU’s and monthly meetings with business development managers, it’s no wonder 362 retailers made the switch to best-one last year. With 38 stores across Scotland best-one is one of the largest symbol operators in the country giving retailers the scale and expertise to compete with multiple retailers and discounters. 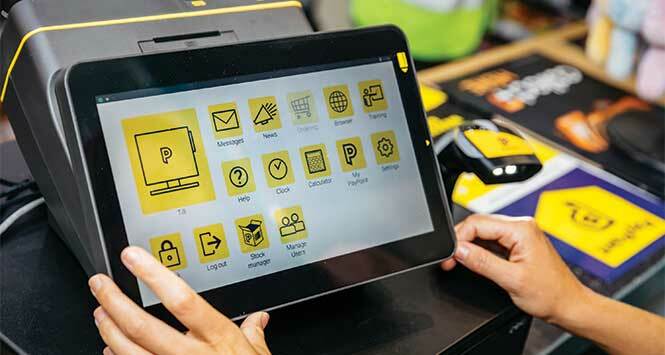 And with 362 retailers making the switch to best-one last year, it’s little wonder best-one is becoming the symbol of choice for retailers wishing to take their stores to the next level. best-one continue to offer one of the best rewards programes in independent retail where compliant best-one members can earn up to 5% rebate on their purchases through My Rewards. This reward can then be used to re-invest in store development including introducing the new premium grey best-one fascia. Bestway Wholesale continually reviews its range and is increasing the size of the chilled range available to retailers, which has high retailer margin. Alongside this, the introduction of a food-to-go proposition will make best-one retail stores all-day destinations serving fresh sandwiches, snacks and coffee-to-go. best-one also has planograms for all core categories which help to reduce the number of lines on-shelf whilst giving stand-out to those products which will drive sales. Following this guidance will ensure independent retailers are in line with the rest of the market. Members receive five unbeatable WOW Deals and 15 Must Feature promotions every month with case allocations to ensure members have availability throughout the promotional period and individualised store leaflets to drive footfall and loyalty. Shoppers now expect to see promotions that match the multiple retailers and best-one delivers on this with promotions across impulse, chilled and grocery. best-one prides itself on its continued support it delivers to members. Each member has a dedicated representative that draws up a joint business plan with members and regularly reviews this on their monthly call. This business plan is based on actual sales data and benchmarked against the store’s potential as defined by its shopper demographic. New members receive a six-week period of ‘Hypercare’ where they are visited weekly to ensure that the transition to best-one is as smooth as possible and that standards and sales are optimised. With a variety of formats available based on shopper profiles and their missions, best-one works with members to deliver the best possible solution for their communities. From simple food-to-go solutions to full serve-over meal counters and premium coffee stations, best-one can help remodel, refit and revitalise your store. Central Pick operation gives members longer shelf life on over 1,500 chilled and fresh products, with up to three deliveries per week. best-one own label gives retailers the reassurance of award-winning, quality products for a value price, while delivering increased value to shoppers through price marked packs. With over 400 products in the range covering all major categories, sales of best-one own label continue to grow and the range continues to increase to meet shopper needs. The best-one inspired range also offers a smaller range of premium own label products and is the first premium own-label range available to independent retailers. For more information, contact our Scottish Customer Contact Centre in Perth on 01738 646 666, your local Batleys depot manager or log onto best-one.co.uk. Stand out from the crowd and keep your own fascia while also benefitting from the scale and expertise of one of the country’s largest wholesale-run retail clubs. 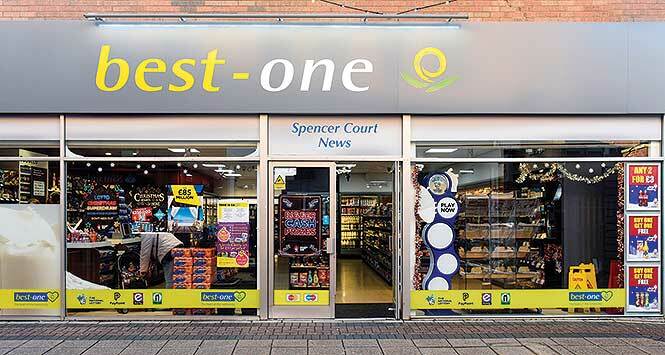 In today’s increasingly competitive convenience market, Bestway can offer independent retailers’ solutions to suit their business needs through the Bestway Retail and Bestway Wholesale businesses; be that a Franchise such as Bargain Booze, a Symbol-Group such as best-one, special support for multiple-account customers, or through a retail club. Xtra Local is the retail club opportunity from Bestway Wholesale, which offers independent retailers’ monthly promotions, competitive pricing and expert advice, whilst allowing flexibility and for retailers to keep their own fascia. 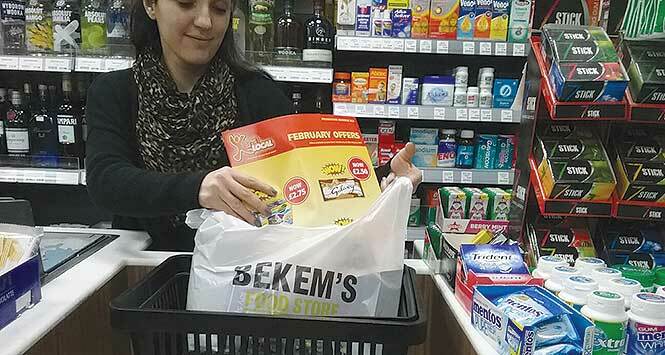 The promotional programme has been tailored for forward thinking retailers who want to entice their convenience store customers with a clear focus on the categories and pack sizes that are driving their business. The Xtra Local retail club enables retailers to shop from 62 Bestway and Batleys depots within the Bestway Wholesale network, seven of which are in Scotland. It makes commercial sense: there is no joining fee and the minimum spend is £1,000 per week excluding tobacco. Xtra Local members also get access to special deals, over and above those offered to unaffiliated retailers shopping with Bestway Wholesale through cash & carry. Promotions: The monthly cycle of consumer ‘Wow’ and ‘Must Feature’ promotions are supported with POS and leaflets for retailers to send to the consumer. These competitive deals allow Xtra Local customers to drive sales and footfall from the promotions whilst still delivering a healthy margin. Own label: Xtra Local retailers have access to the best-one own label range which offers premium, award winning products for value prices on over 400 products across all categories. Availability: Bestway Wholesale has also launched pre-sell on the core range relevant to Xtra Local customers, which ensures availability for retailers as stock is allocated when you order it a month ahead. This ensures you’ll be guaranteed the stock you need at the best possible promotional price – ahead of competitor prices for two weeks (and thus you’ll make more profit within the two week period). Support: Xtra Local provides independent retailers who meet the spend threshold, extra support including monthly visits from sales personnel and best-practise sharing from other retailers. 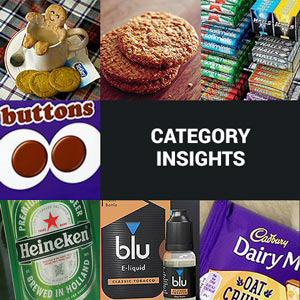 Category management: Representatives from Bestway Wholesale can help Xtra Local members with category advise, store layout advise and merchandising plans. Scotland: The Xtra Local product range is adapted for Scotland with special monthly promotions and a Scottish product range of approximately 400 products. 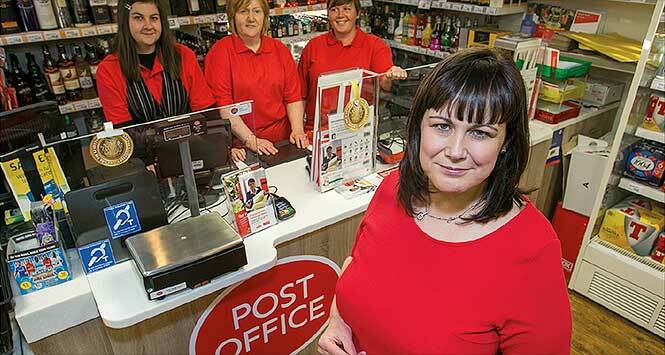 With over 11,500 branches, of which 1,403 are in Scotland, Post Office is at the heart of UK life, and millions of people rely on essential services like pensions, bill payments, travel money and cash. Traditional products and services remain core: working with partner Royal Mail, Post Office remains market leader for parcels and letters. And as more bank branches close, the convenience of doing day to day banking at a local post of-fice is popular with customers. Convenience is the key. Customers today want easy access to Post Office services so they can quickly return their home shopping, access their bank accounts and post items. A Post Office brings in footfall so there’s an opportunity to cross sell, and retailers who take on a Post Office find their sales increase. 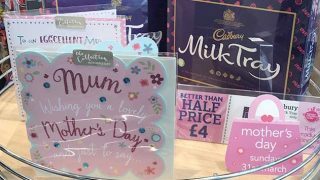 HIM research shows that one in three Post Office customers will buy three or more items in the shop when they visit, and 93 per cent of shoppers said they were more likely to choose a store because it had a Post Office. Post Office is opening more branches in retail outlets, especially in towns and cities, with more than 130 new post office outlets this financial year and more than 270 over the last three years. Thirty one of the new branches opened so far are in Scotland. Visit runapostoffice.co.uk to view existing opportunities or express interest in adding a franchise to your store. Payzone Bill Payments Limited now operate as a subsidiary of Post Office Limited – although they remain Payzone outlets and retailers. This acquisition means that Post Office and Payzone together now have around 25,000 locations for customers to pay their bills across the UK. In a Post Office Local you’ll sell simpler and quicker services like mails, stamps, bill payment and e top ups from a small combi counter alongside your retail, meaning trained retail staff can serve all customers. The average Post Office transaction takes less than 30 seconds, and you’ll be able to sell these services during shop opening hours attracting busy customers earlier and later. Post Office pay a fee per transaction. Your premises need to be conveniently located for local customers, have easy access and enough space for the Local counter. Convenience stores, CTNs and forecourts are the most usual partners although Post Office will consider any suitable retailer. As part of the offer stores are kitted out free of charge with everything required to run the service including a Post Office terminal, cash, stock and marketing materials. Committed to helping Scotland’s independent retailers thrive, Costcutter Supermarkets Group (CSG) is leveraging its new supply agreement with the Co-op to offer retailers an exceptional range and simplified commercial terms. Our mission is to help independent retailers thrive, giving them the support they need to grow their business by meeting the changing needs of their local shoppers. “Following our new wholesale supply agreement with the Co-op, which went live in May, our retailers are even better placed to meet the needs of their local shoppers with an improved range, offer and delivery service with over 13,000 lines available. We’ve also rolled out over 800 Co-op lines with circa 1,000 more set to be launched in Q1 of 2019. “To coincide with our new supply deal going live, we’ve also introduced new, simplified commercial terms. Our retailers now benefit from the most transparent and easy to understand terms in the market, boosted by a rebate scheme that cannot be bettered. We’ve returned to our no levy, no surcharge model, backed by competitive bench-marked pricing, so our retailers can clearly understand the costs to their business. And our new rebate scheme rewards their purchasing, offering up to 6% rebate every 6 weeks. “Last year, following the most in-depth study of shoppers in our 30-year history, we launched our unique Shopper First Programme; a transformation programme that brings together shopper insights and sales driving range initiatives. “Every retailer has now been provided with detailed shopper profile information for their store, including details of our five core shopper personas. Armed with this detailed insight, our retailers can better understand their potential local shoppers and use this to develop a truly local offer that attracts new shoppers into their store. Combined with the new Co-op relationship, our retailers will be better placed to respond to key shopper missions, especially when it comes to the all-important fresh food and food-to-go categories. 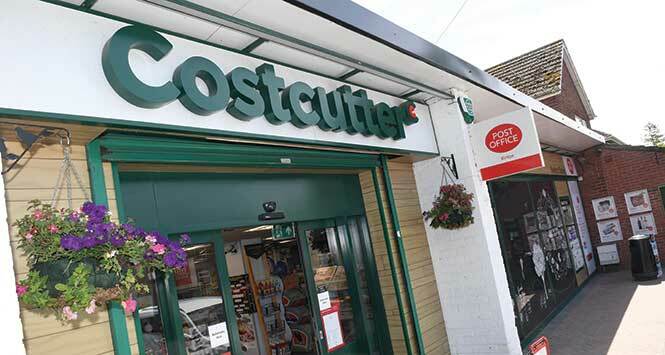 “Our new Costcutter brand and store design, which has been created to connect with today’s shoppers, stand out from the crowd and transform the in-store experience, has already been rolled out to dozens of stores. The fully flexible modular approach allows retailers to invest at a pace that suits their individual needs and focus on the key shopper missions. 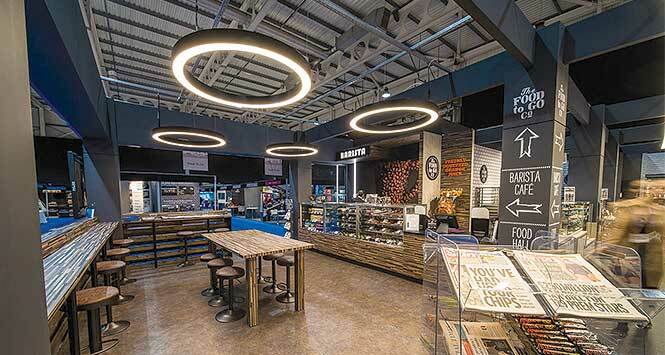 Along with the new Costcutter store design, participating retailers have enjoyed significant double-digit uplift to their sales and incredibly positive feedback from both existing and new shoppers. This new look Costcutter sits alongside the Mace fascia, so retailers can select the right brand for their store; all underpinned by shopper insights.